As an independent local business, we like to think that our oven cleaning prices are low. We are not a franchise or agency with high overheads which mean that we can offer you some great deals on oven cleaning in the Edinburgh area. Whether you want your Oven, hob or extractor fan cleaning our oven cleaning prices are some of the best around. Call us on 0131 302 0107 and we'll give you an instant price for cleaning your oven without any hidden extras! Our oven cleaning prices are competitive! Give us a call on 0131 302 0107 and we will be happy to give you a fully inclusive oven cleaning price instantly. Alternatively contact us online and we'll call you back to discuss your requirements. 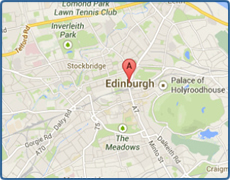 You can be assured that our Oven cleaning prices will be amongst the most affordable in the Edinburgh area. Get an oven cleaning quote online or call 0131 302 0107 for an instant quote over the phone. If you need professional, fully insured, reliable oven cleaner in the Edinburgh area including Armadale, Balerno, Barnton, Bathgate, Bilston, Bo'ness, Bonnyrigg, Broxburn, Bruntsfield, Cameron Toll, Canongate, Cockenzie, Colinton, Comely Bank, Corstorphine, Craigentinny, Craigleith, Craigmillar, Cramond, Currie, Dalkeith, Danderhall, Dean Village, Duddingston, Dunbar, East Linton, East Lothian, Fairmilehead, Fauldhouse, Firth of Forth, Fountainbridge, Gilmerton, Gorebridge, Gorgie, Grange, Granton, Gullane, Gyle, Haddington, Haymarket Station, Heriot, Holyrood Park, Humbie, Innerleithen, Juniper Green, Kirkliston, Kirknewton, Lasswade, Leith, Liberton, Linlithgow, Livingston, Loanhead, Longstone, Marchmont, Mayfield, Mid Calder, Moredun, Morningside, Mortonhall, Mountcastle, Murrayfield, Musselburgh, New Town, Newbridge, Newhaven, Newington, Newtongrange, Niddrie,, North Middleton, Northfield, Old Town, Ormiston, Oxgangs, Pathhead, Peebles, Pencaitland, Penicuik, Polton, Port Seton, Portobello, Prestonpans, Pumpherston, Ratho, Restalrig, Rosewell, Roslin, Scotland, Sighthill, Slateford, South Queensferry, St. James Centre, Stenhouse, Stockbridge, Stoneyburn, Tollcross, Tranent, Walkerburn, Wallyford, West Calder, West Linton, Mid Lothian, Wester Hailes, Whitburn, Whitecraig, and Winchburgh contact Good As Nu Oven cleaning Edinburgh.